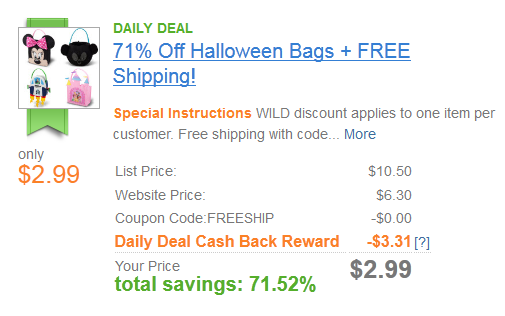 Get a Halloween bag from Disney for $2.99 shipped after you get cash back from Shop at Home. Sign up for Shop at Home and on the front page you'll see this Disney deal (or search Disney). Click the link to shop.